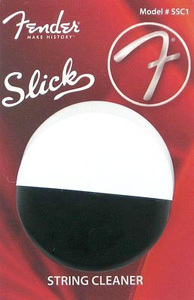 The Fender® Slick String Cleaner prolongs the life of your instrument's strings. The simple and effective applicator is easy to use and the applicator pad is treated with Fender's string cleaning solution. Just rub it up and down your strings and wipe them clean with the included cloth. The Fender® Slick cleaning solution is safe for any finish and/or fingerboard wood. Prolongs the life of your instrument's strings. 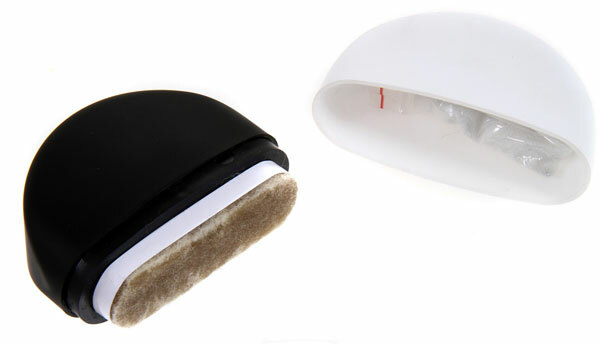 Easy to use and the applicator pad is treated with Fender's string cleaning solution. The Fender® Slick cleaning solution is safe for any finish and/or fingerboard wood.